On Thursday I arrived at the Mulago National Referral Hospital around 9:15am. I was going to have the opportunity to work with 3 Pharmacy Interns to help them learn more about how to use their pharmaceutical care knowledge and skills to help patients. While waiting to meet up with them, I took in the sights and sounds of the hospital. One of the things that is very different about hospitals in Uganda and Tanzania, and I think in most of Africa, is that each patient must bring a caregiver to the hospital. This person may be a daughter, mother, friend, etc, but is responsible for providing much of the hands-on care of the patient. The Nurses are few and so they provide higher level care to the patient like obtaining blood for lab tests, dressing changes, and giving Injectable medications. Bathing the patient, washing and changing bedding, and giving all oral medications is the job of the caregiver. 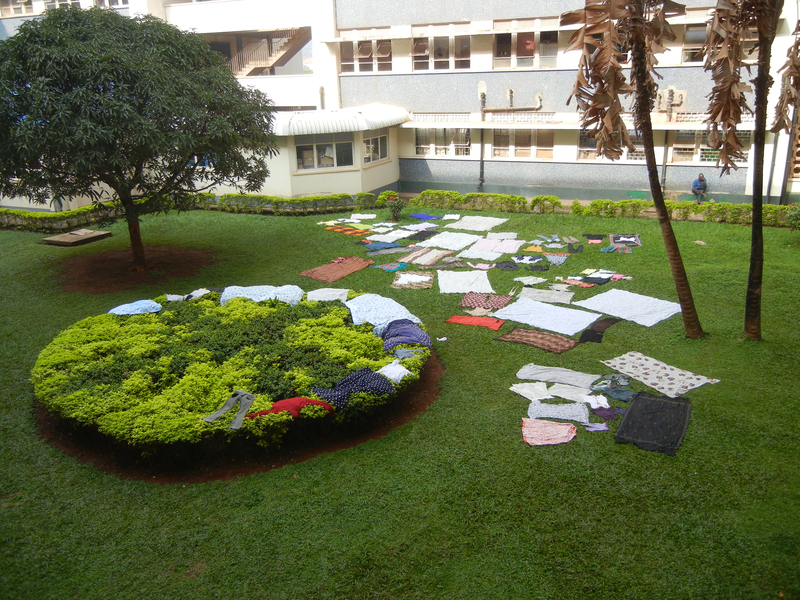 Many times the caregivers need to bring young children with them so even if the number of patients in the hospital are 2000, there is always at least double that, and usually many more, people hanging around on the wards, hallways, and courtyards. 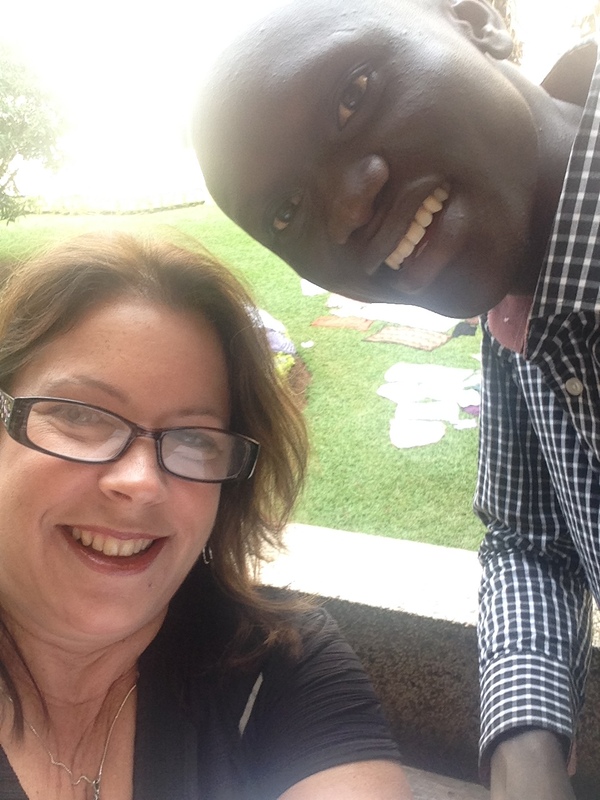 A Selfie with Alan, soon to be Pharmacist, overlooking Mulago Hospital courtyard. I also ran into a recently graduated Intern, Alan, whom I’ve know for 2 years now. It is students like him that really motivate me to continue this work, although, he says that I have motivated him. Alan always strives to use his knowledge to help patients and advance medical care. In fact, although he has just graduated from his final training program before becoming a licensed pharmacist in Uganda, he has already re-enrolled in another training program – the Masters of Science in Clinical Pharmacology. He had expressed an interest in taking a MSc in Clinical Pharmacy, but this program isn’t available from Makerere University — yet. 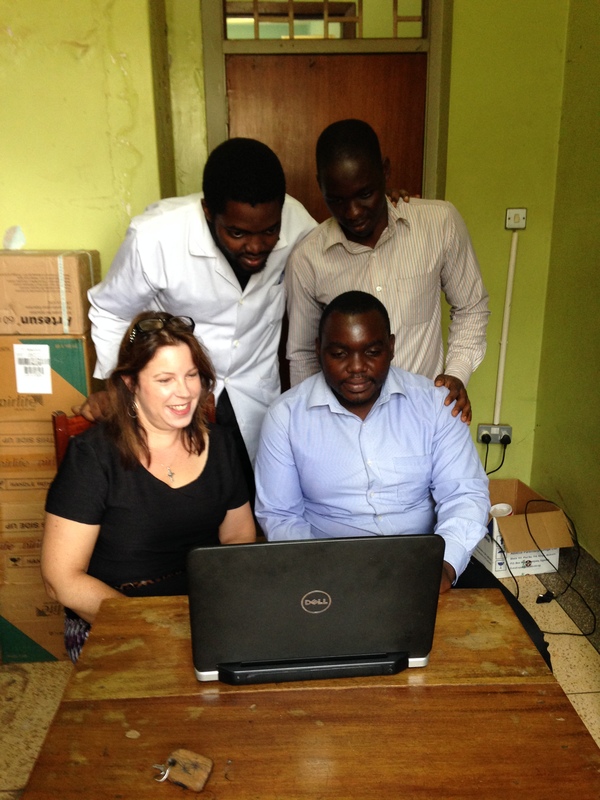 It is going to be the next step in my quest, along with the help of my partners, to help Uganda advance pharmacy practice to improve patient care for all Ugandans but will probably not start until Fall 2016, or perhaps Fall 2015, at the earliest. But, since a MSc in Clinical Pharmacology is available now, Alan will pursue that. It is different as it is focused on the way drugs work in the body and research to find new treatment regimens whereas the MSc in Clinical Pharmacy will train Pharmacists to provide more direct patient care to work alongside other Healthcare Providers. 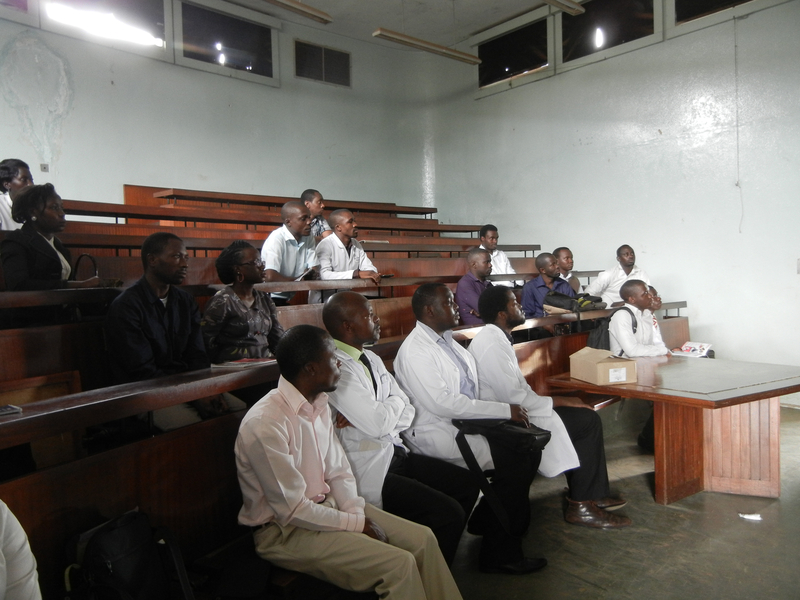 When I met up with Peter, Patrick, and David, the Pharmacy Interns, they were preparing to present a Patient Case to the rest of the Pharmacy Interns and supervisors at the weekly Continuing Medical Education (CME) conference. This is where the Interns demonstrate their abilities to contribute to the care of the patient and talk about what they learned from the experience. Since this was the first group of Interns to present in their Intern class, it was a learning experience for all. I think by the end, though, they all had a much better understanding of how the skills of a pharmacist are different and complement the abilities of the other members of the healthcare team, Physicians, Nurses, Therapists, etc., so that together, working as a team, we can determine the best treatment for the patient and positively benefit their health and quality of life. This entry was posted in Fulbright Specialist Project and tagged Global Health, international pharmacy, makerere university, Mulago National Referral Hospital, pharmaceutical care, Pharmacy Students, Uganda, Wilkes University. Bookmark the permalink. am a medical student at kampala international university , first year . But the inadequate human resources in the hospitals are due to government complacency, negligance and poor leadership. No wonder after a sit down strike by interns one says, ‘we knew about it , and your money is on the way it was poorly channeled ‘ oh God save us, thats devaluing and underating health profesional , yet they deserve the best environment, so do you expect the best services from them after that? Think about it!